These days in San Antonio, you can’t help but marvel at all the new businesses and initiatives under way across our amazing city. And you can bet that Trinity University played a key role in the most exciting ones. One of my favorite educational institutions, Trinity University is becoming globally known for its Center for Innovation and Entrepreneurship, which teaches students what it takes to start a business or turn an idea into reality. Working in teams, students pursue various ideas and create business plans that include everything from new venture development and strategy to financing and marketing. They’re able to pitch and beta test their ideas at the Louis H. Stumberg Venture Competition held each spring and fall. The winning prize? Mentorship and $25,000 in startup funding. The winner of this year’s fall finals, held just a few weeks ago, is Quick Sip Coffee. 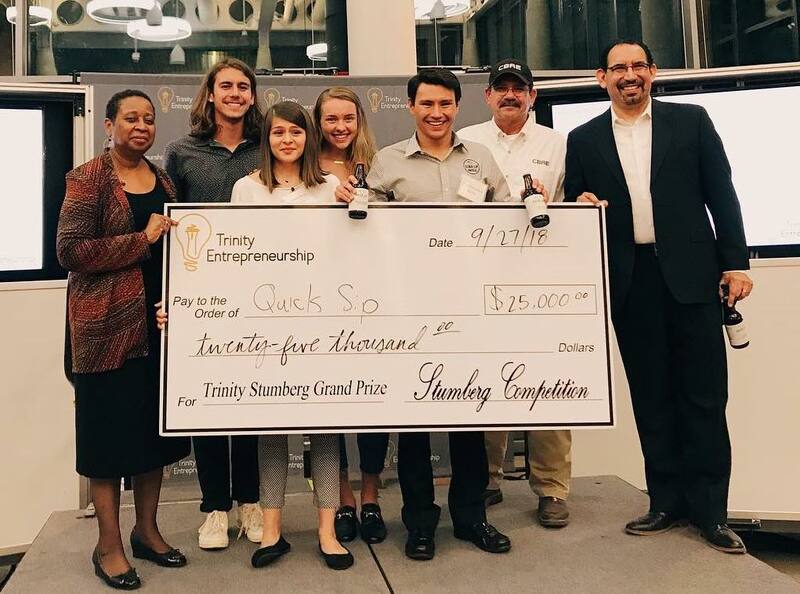 Founded by Trinity student Jacob Hurrell-Zitelman, Quick Sip is the only bottled high-quality, specialty and single-origin cold brew coffee company in San Antonio. Sold at Trinity, at Shipley’s (off Bitters and Blanco) and at all Commonwealth Coffeehouse locations, Quick Sip is in such demand that Jacob and his team are doing all they can to fill their orders. They’ll use the funds to expand their production capabilities. Congratulations, Jacob and team! And congrats to the Center for Innovation and Entrepreneurship director Dr. Luis Martinez and the entire department. How great to know that our future entrepreneurs are getting such a great start at Trinity! If you’d like to view the fall Louis H. Stumberg Venture Competition, held Sept. 27, 2018, here’s the link to the video. Does your company or organization have an initiative that could use an energy boost? More outreach? A more engaged – and expanded – audience?